We ate chicken knees. FRIED. That’s right folks, while in Vancouver we set off to this apparently BEST fish congee restaurant in the city. 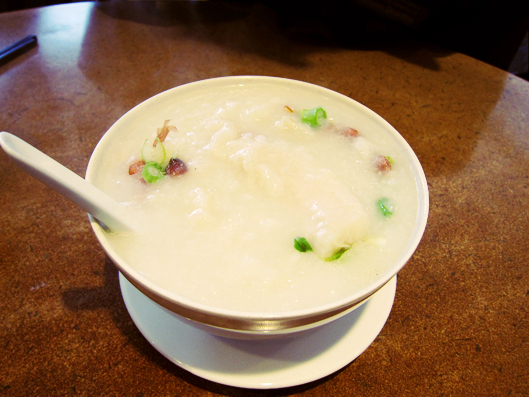 It was a chilly morning so a hot bowl of fish congee sounded perfect. 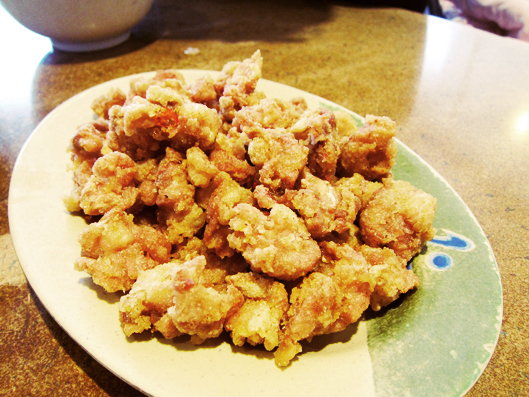 While at the restaurant we saw everyone getting this heaping plate of fried something. At first, I thought it was fried pork chops but after asking the waitress, she told us the dish was deep fried chicken knees. For those medically inclined folks, (in humans) it is the joint where the distal femur joins with the proximal fibula and tibila. Capped off by the patella. Sorry, I had to explain so that the medical people can understand. And yes, I have had my fair share of those anatomy, biochem, physiology, neuroscience, etc. classes. This was what we came here for: fish congee. I wasn’t too impressed. Can make it better. 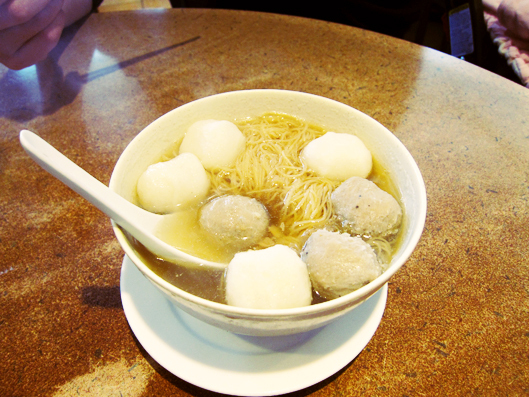 Also tried a bowl of egg noodles w/ fish balls. Again, not impressive. Can make it better. Got attacked by Zoey. Now that she’s learning how to initiate kisses, she just goes in for the kill. No mercy. LOVE her tiny fingers. So adorable! Drumroll please…chicken knees everyone! See, doesn’t look scary! Looks kinda like popcorn shrimp too. It was so yummy! 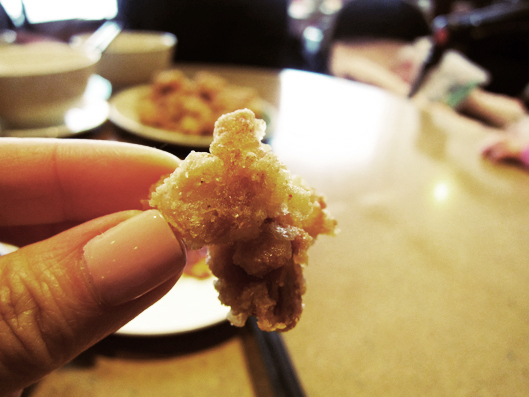 Basically, fried cartilage w/ tiny bits of chicken meat. Both my husband and I were in heaven until the dish was gone. Where can I find enough chicken knees to make this dish again?!! Oh wait, I’m on my healthy regimen right now. A few snapshots of the little one! Would you ever try deep fried chicken knees? She’s so beautiful! Especially in that last photograph! Firstly, I love looking at your photo’s, they are all so amazing! Secondly, I totally get those little first initiated kisses, sooo precious!! 🙂 Chicken knees? I so would! Ps, I have a white sofa….and a ten month old…..it used to be white all over, she came along, now its white with bits (not good)…sofa has to go..soon! Mmmmm, liking your sharing of culinary experiences. I will have to keep in mind to try those if and when the opportunity comes up. 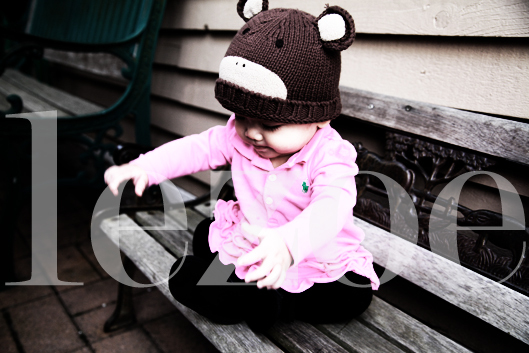 And Zoey’s hat! So sweet! 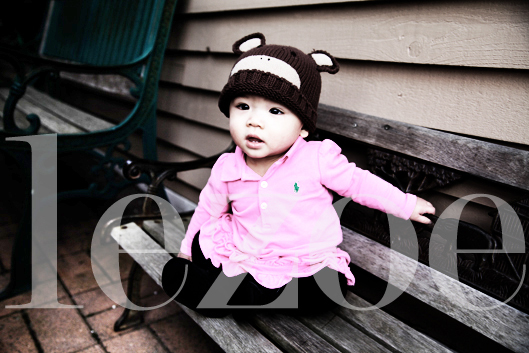 Zoe pics……hard to take my eyes off her! I, too, forgot the rest of the post once seeing her!!!! Have never even heard of that ‘dish’……but, then again, we humans will deep fry ANYTHING and find it great!! LOL! Yes I would try them but not too many. They look a little high in the fat department. I would SO try that just to say I did. And I have a feeling my mom, who ordered pig intestine from a Chinese restaurant while visiting me in SF this past wkend, would be a huge fan too. Sounds crazy, but those chicken knees actually look pretty good! I was into the post, but I must say, everything came to a screeching halt once I saw the Zoe pics. Too freaking adorable! I forgot what I was reading about. Ah, yes, chicken knees! The only thing that grosses me out is the cartilage though. Can you even chew or swallow the stuff? 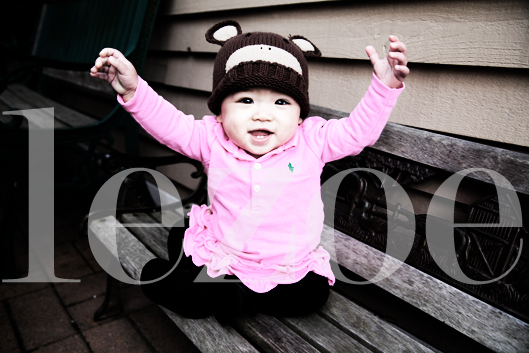 Your adorable little one is so cute.